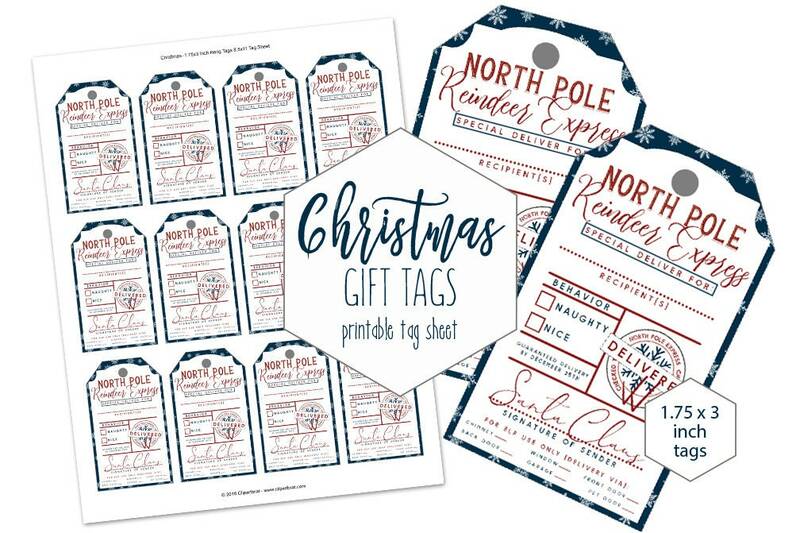 PRINTABLE CHRISTMAS GIFT TAGS ~ These Adorable Navy Blue Snowflakes with Gifts tags, with red brushed hand lettered look, From Santa Claus and checked twice. 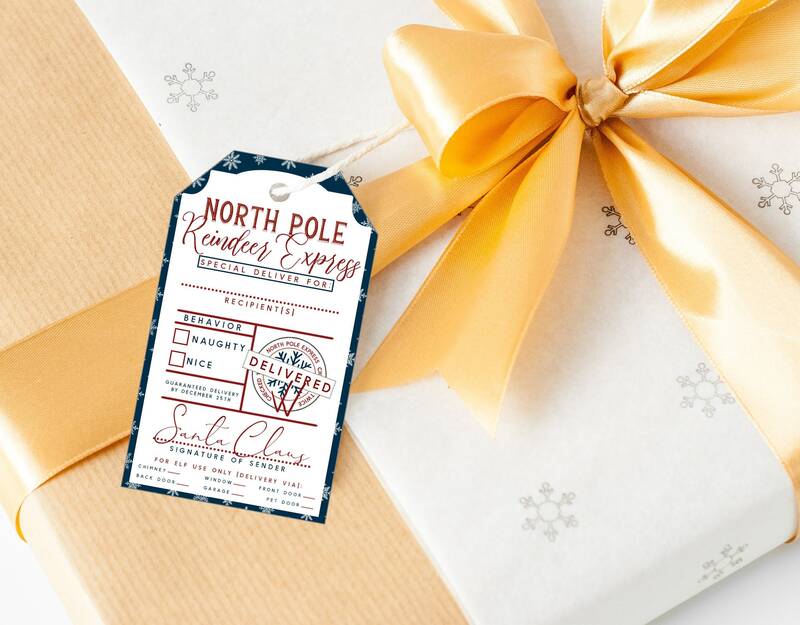 with a Naughty Nice checkbox and cute elf use only area with home entry method - Santa Approved - Reindeer Express- North Pole- Holiday Tags measure 1.75x3 Inches and have 12 per sheet. Just use a pen or marker to fill out the recipients name, and check the appropriate boxes. Or use programs like photoshop or illustrator to add a text layer in. Your children will be convinced their gifts traveled from the North Pole, and Santa himself! JPEG format for printing as many sheets as you like from home, or your favorite printing service!